The Bluegrass Chapter of the Society of Professional Journalists and the Institute for Rural Journalism and Community Issues seek nominations for the Al Smith Award, given annually for public service through community journalism over a lifetime by a native or resident of Kentucky, or someone who has spent a significant portion of his or her career in the state. 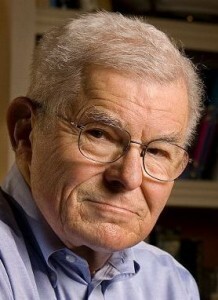 The award is named for its first recipient: Albert P. Smith Jr., who owned weekly newspapers in Kentucky and Tennessee, was founding host of KET’s “Comment on Kentucky” and was main co-founder of the Institute for Rural Journalism and Community Issues, of whose national advisory board he is chairman emeritus. He is the author of Wordsmith: My Life in Journalism and Kentucky Cured. The Smith Award is based on news coverage and editorial leadership that serve needs of communities. Preference is given to journalists in smaller markets, to recognize the restrictions that market size can place on the ability to perform outstanding public service through journalism. If a publisher or station owner is nominated, the judges may consider his or her civic service and the successful management of conflicts that can arise between journalistic, managerial, ownership, and civic roles. Past winners have been Stevie Lowery of The Lebanon Enterprise; Ryan Craig of the Todd County Standard; Larry Craig of the Green River Republican; Sharon Burton, of the Adair County Community Voice and The Farmer’s Pride; Carl West of The State Journal; Bill Bishop and Julie Ardery of the Daily Yonder; John Nelson of the Danville Advocate-Messenger; Max Heath of Landmark Community Newspapers, and Jennifer P. Brown of the Kentucky New Era. Nominations may also be sent electronically, to al.cross@uky.edu. For more information about Al Smith, the award and the nomination process, please contact Institute Director Al Cross at (859) 257-3744 or al.cross@uky.edu.